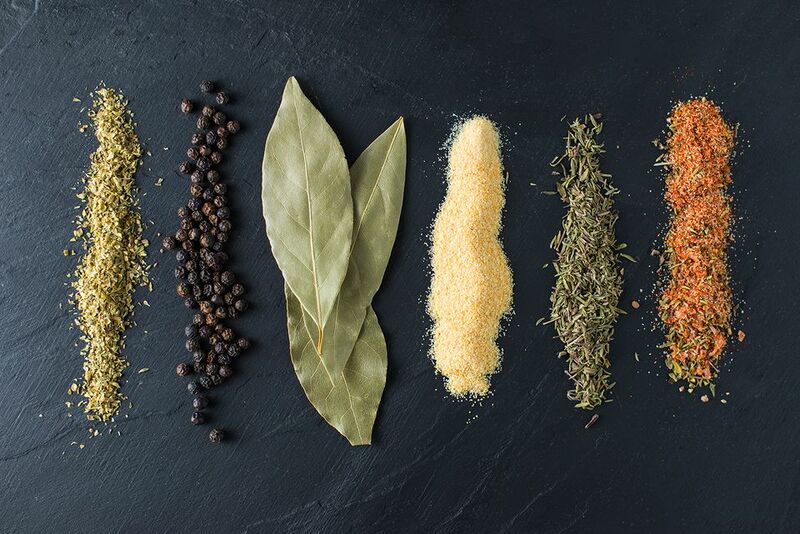 This recipe calls for a lot of bay leaves. It's actually about 1/3 cup, so if you have crushed bay leaves you can use those. The real secret to fried turkey is to get a good coating of the rub on the surface of the turkey before it hits the oil. In a spice grinder, grind the bay leaves into a fine powder. Place in a small bowl. Also grind the thyme, oregano, peppercorns. Add all ingredients to bowl and mix together. Divide into three equal parts. Rub one part on the inside of the turkey; rub the second part under the skin around the breasts; and rub the last portion over the outside of the turkey.